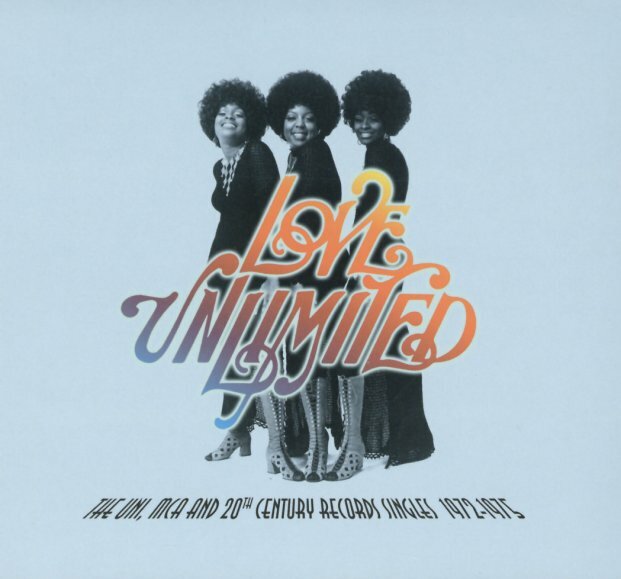 A fantastic selection of work from one of the hippest girl groups of the 70s – the mighty Love Unlimited trio, three singers who all worked under the genius of Barry White in his prime! Unlike other girl trios of the time, who often used an older soul mode refitted with disco grooves – sometimes acting more like a chorus than a lead act – Love Unlimited always brought their full vocal strengths to play, and do a fantastic job here working in modes that rival some of the best male harmony groups of the early 70s – especially the sweet soul groups from New Jersey, New York, and Philly. And yes, Barry does kick up the groove a bit at times, but even then things are usually more in a midtempo mode, not a disco one – which makes for tremendous sounds throughout. This is the first-ever proper collection of the girls' singles from the early 70s – and titles include "Oh Love Well We Finally Made It", "Fragile Handle With Care", "Are You Sure", "I Should Have Known", "Is It Really True Boy Is It Me", "Walkin In The Rain With The One I Love", "Under The Influence Of Love", "It May Be Winter Outside", "I Love You So Never Gonna Let You Go", "I Belong To You", "So Nice To Hear", "People Of Tomorrow Are The Children Of Today", and "Share A Little Love In Your Heart". © 1996-2019, Dusty Groove, Inc.